(April 6): Southeast Asian shares fell on Thursday on worries of capital outflows from the region after minutes of the US Fed meeting showed that most policymakers were of the view that the central bank should start trimming its massive stimulus. The US central bank's stimulus since the global financial crisis has driven huge amounts of investment inflows into emerging markets in Asia and any reduction in that could trigger capital outflows from the region. Most Federal Reserve policymakers think the central bank should take steps to begin trimming its US$4.5 trillion balance sheet later this year as long as the economic data holds up, minutes from their last meeting showed. 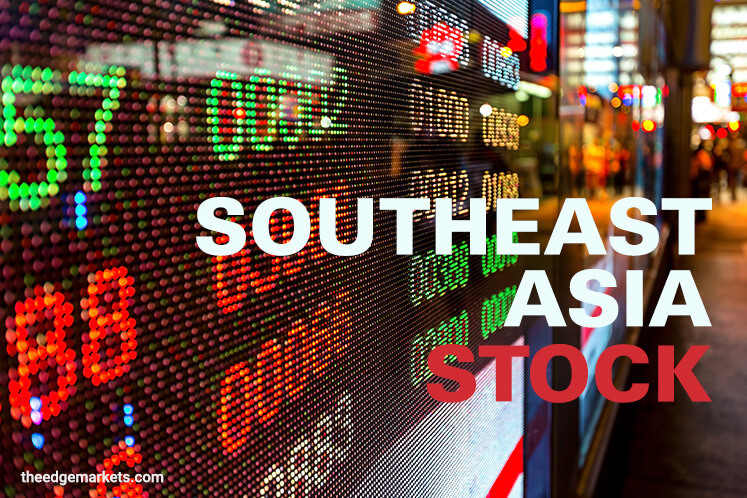 "Southeast Asian markets are basically following the performance of US stocks last night after the minutes of the FOMC meeting," said Lexter Azurin, equity analyst at AB Capital Securities. Wall Street ended lower on Wednesday after a late-afternoon reversal following signals from the Fed. "Investors are taking a cautious stance as there is a bit of uncertainty over the next rate hike". The market is keeping a close watch on a potentially tense meeting between US President Donald Trump and his Chinese counterpart Xi Jinping, the first between the world's two most powerful leaders. MSCI's broadest index of Asia-Pacific shares outside Japan was down about 0.9% at 0409 GMT. Philippines snapped a three-day gaining streak and fell as much as 0.7% with financials and real estate sectors declining. "I think the Philippines market is just taking a breather. There has been a renewed interest in the market over the past few days which pushed it up," added Azurin. Business process outsourcing services provider Ayala Corp clocked its biggest intraday percentage drop since December 2016, while property developer Ayala Land fell as much as 2.8%. Singapore shed as much as 0.6% dragged down by financial stocks. DBS Group fell about 1%, while Oversea-Chinese Banking Corp fell as much as 0.9%. Indonesia fell after notching record highs for three consecutive days as energy stocks dropped. The index of the region's 45 most liquid stocks fell as much as 0.6%. Energi Mega Persada fell to a record low while Bukit Asam (Persero) posted its biggest intraday loss in nearly five months. Vietnam and Thailand were closed for Hung King's Day and Chakri Day, respectively.